A vision is a God-given promise that is a revelation of His heart. To truly understand God's vision for His people, believers must have a revelation of God's heart - not only understanding what God wants to do but also why He wants to do it! God's Word to us is always a revelation of His motivation. What does one do with a God-given vision? 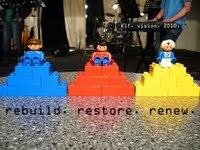 What is God's vision for KLF this year? Isaiah 61 and Acts 2:42-47. Rebuild. Restore. Renew. God wants to make us whole to bring wholeness to others for His glory. Isaiah 61:3 is the vision: To be "a planting of the Lord for the display of His splendour." 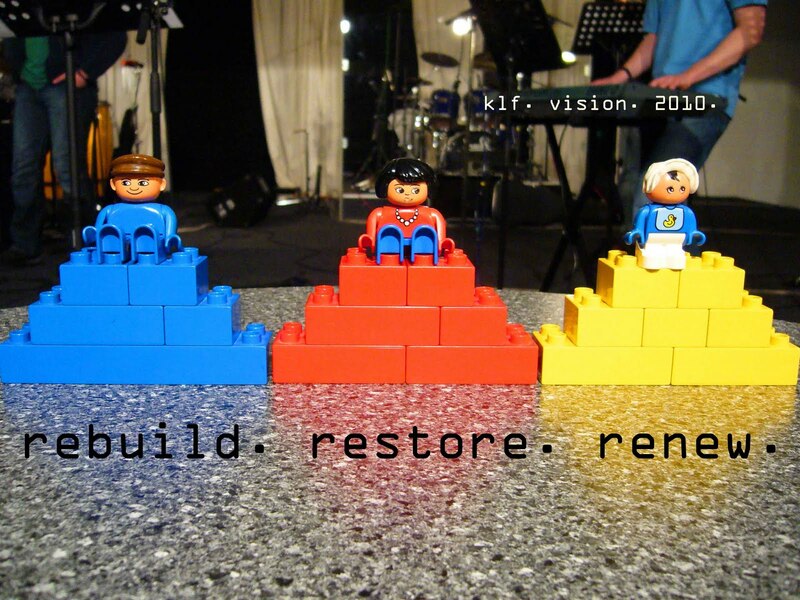 For the vision to be fulfilled, God has given us Acts 2:42-47 so that as He rebuilds, restores and renews us, we become rebuilders, restorers and renewers as we devote ourselves to the Word, fellowship, communion, prayer and the sharing of our lives with one another. How are we to respond to God's vision for us? We praise God for His awesome Word to us that is the vision He has for us this year. As we apply God's Word to us we will see the vision realised! Hallelujah! Since God is going to rebuild, restore and renew us individually and corporately we will be focusing on "Body building" by offering new Life Groups for people to connect with one another as well as seminars and events that will help us grow together for God's purposes and glory. This Saturday KLF's worship team will be supporting another exciting Arise Shine meeting with Suzette Hattingh and Gayle Claxton of Voice in the City.